Being a dad is a 365-day job. 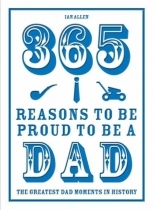 Let this nifty little book help you along the way, with a hilarious dad-related fact for every day of the year. Discover how 26 August is the anniversary of the car you probably learned to drive in, and stroke your smooth chin thoughtfully as you learn that 13 May is the day the electric shaver was invented. Find out when and where the first piece of flatpack furniture was invented (Ancient Greece, no less, and it was more of a temple than a wardrobe...), and, on 19 November, remember that there's always a more incompetent parent than you as you recall the day a certain baby boy was dangled off a balcony. 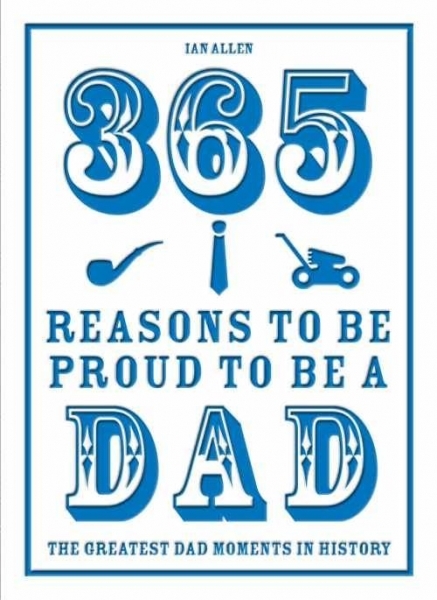 Packed with stories of dad derring-do, this book is the perfect buy for any dad you know, or someone who's about to become one.